When you are pregnant, it’s not just about what you are doing to be healthy, but what you are avoiding as well. By now, your head is probably full of rules on what to do when you are pregnant. 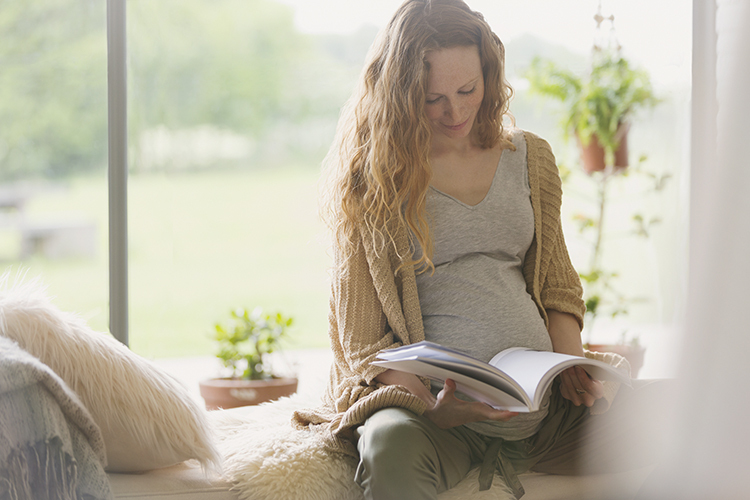 Whether they come from books, magazines, your health care provider or your friends and family, all of those pregnancy tips urge you to live these nine months of your life in a very specific way—ostensibly for your own good as well as the baby’s. But the truth is that these restrictions and recommendations may be biased, may not be based on scientific studies and may not be the right thing for you. The following information about the most discussed pregnancy dos and don’ts—alcohol, caffeine, tobacco and prenatal vitamins—is based on solid research and a belief that you’ll treat your body well because you know what’s best for your growing baby. My pregnant patients almost always ask me if it’s okay to drink alcohol. It's very hard to say, "Yes," because studies have shown that there is no health benefit and there are some risks. No level of alcohol has been proven safe during pregnancy, and it does cross the placenta. Data has also shown that a fetus may be severely impacted if you drink heavily (four drinks a day), and there may be noticeable effects with as little as one drink a week. On the other hand, it has not been proven that moderate alcohol consumption during pregnancy has an adverse effect on babies. The National Institute on Alcohol Abuse and Alcoholism recently found that problems are uncommon in babies whose parents drank less than an ounce of alcohol per week when they were pregnant. Based on this information, it’s okay to have up to one drink, on occasion, after the first trimester, once most of the crucial fetal development has taken place. But take care not to drink excessively, and always eat something when you have that glass of wine. Alcohol is absorbed more slowly on a full stomach, thereby decreasing the likelihood that high levels of it will reach the baby. If you are a purist, the same perspective about alcohol applies to caffeine. It’s a drug without health benefits and therefore not worth its potential risk to your baby. However, since most of us really enjoy our daily coffee or tea (or are actually addicted and go through withdrawal without it), and since the potential problems of caffeine in pregnancy are fewer than those of alcohol, it’s probably okay to take a slightly different approach. Caffeine is a stimulant: It increases your blood pressure and heart rate so you feel that you have more energy. But it can also dehydrate you—and that’s important to avoid during pregnancy. Caffeine effects on the fetus are not clear, but high caffeine intake (four to five cups a day) has been associated with increased rates of miscarriage, preterm delivery and low birth weight. However, there’s no evidence that moderate amounts (one to two cups a day) have any effect on the baby. So, one or two standard-size (8 oz.) cups of coffee a day is probably fine. If you find that you’re especially sensitive to caffeine and can feel your heart pounding after two cups, you really shouldn’t drink more than one. Two reminders: Drink plenty of water throughout the day, and be aware that the size of the cup you’re served in coffee shops is often larger than the standard size. Surely you’ve heard this stern warning for years, but you’ve probably also heard that previous generations were allowed to smoke while expecting. How’s that for the ultimate in conflicting information? The fact is, smoking is not at all good for you. It dramatically increases your risk for lung, cervical, throat and mouth cancers; heart disease; lung disease; stroke and osteoporosis. There are just as many important reasons that smoking is not good for your developing baby. It decreases the amount of oxygen in their blood, stunts their growth, and increases the chance they will be born too early and develop asthma, ADHD, or other cognitive/behavioral problems or even suffer from Sudden Infant Death Syndrome (SIDS). Take this seriously. Quitting smoking now is one of the best things you can do for yourself and your baby. If you can’t do it on your own, ask your health care provider to help you find a smoking cessation program that will work for you. Smoking after pregnancy can also harm your baby. Most people are aware of the dangers of second-hand smoke, which is the smoke you breathe in when someone near you is smoking. Another dangerous form of smoke is third-hand smoke, which is the smoke that lingers on the clothing, body and hair of a smoker after the cigarette has been put out. Both second-hand and third-hand smoke can be hazardous to babies. You may wish to share this information with any smokers that will be near your baby and remind them to change clothing and wash up before touching your baby. There is general agreement that it’s important to increase your consumption of a number of vitamins and minerals when you’re pregnant to ensure your baby’s optimal development and your own health. If you can do this by modifying your usual diet, then you probably won’t need a prenatal vitamin. However, studies have shown that most Americans don’t meet even their basic nutritional needs on a daily basis, so we assume that many during pregnancy need a little help with this too. 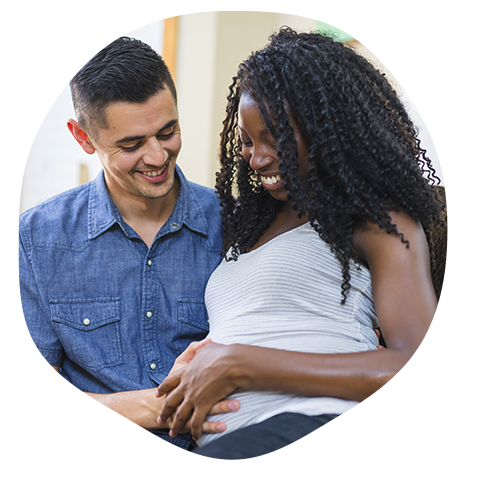 Here’s another good reason to take a prenatal vitamin: Recent research suggests that certain nutrients, in quantities that are difficult to get through diet alone, can help with fetal development and even aid in preventing some common pregnancy complications. For example, choline and omega 3 fats have been shown to enhance fetal brain development. Folic acid helps prevent neural tube defects, and vitamin C can prevent premature rupture of the membranes. With these likely important benefits, my belief is that if you can afford the expense, a prenatal vitamin has no risk and much potential reward. If you have difficulty swallowing pills, vitamins also come in chewable and gummy forms. Read labels to ensure the vitamin you choose contains the correct amount of nutrients for pregnancy. The vitamin doesn’t necessarily have to say “prenatal” on the label to contain all the recommended nutrients. Even chewable children’s vitamins may be a good choice if they contain what you are looking for! If you choose not to take one, you should eat as healthfully as possible during your pregnancy. The directives that you receive regarding pregnancy dos and don’ts may make you feel that if you don’t follow each instruction to the letter, something will go wrong. If you believe that, you’ll spend your days trying to control things over which you actually have no power, causing yourself unnecessary stress. Instead, believe in your ability to produce a healthy baby. If you trust that, you’ll experience your pregnancy with joy. You’ll be motivated to take care of your body by eating well and exercising gently, relaxing with the occasional drink, enjoying your morning coffee and even indulging in some chocolate, which data shows actually leads to calmer babies. Allow yourself to live freely, laugh often and love much—this is exactly how pregnancy, and life, should be experienced.